I'm not sure if I've mentioned before on this blog, my love for TK Maxx. And if I haven't, then apologies, because this shop is nothing short of brilliant. I don't get clothes from there very much, but the home section and beauty section are excellent, with the handbag and accessory departments coming up trumps too. 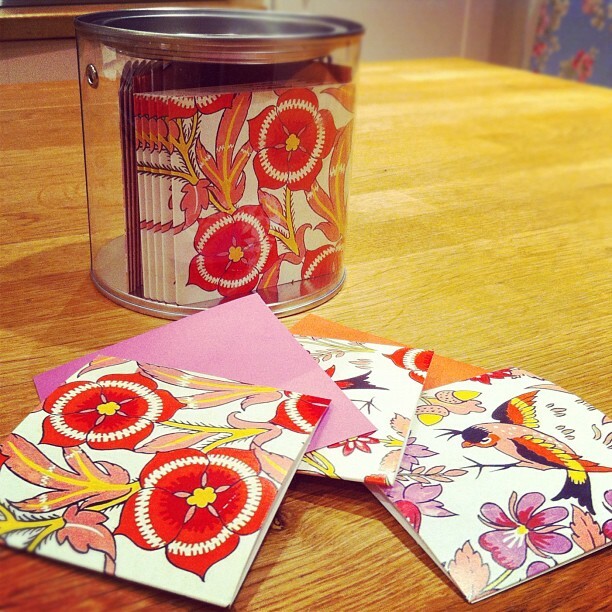 Their books and stationery section has been getting better and better recently, and being something of a stationery obsessive, I was chuffed when I found this set of notecards in there the other day, for £2. They are very tiny, and could also be used as gift tags for presents. 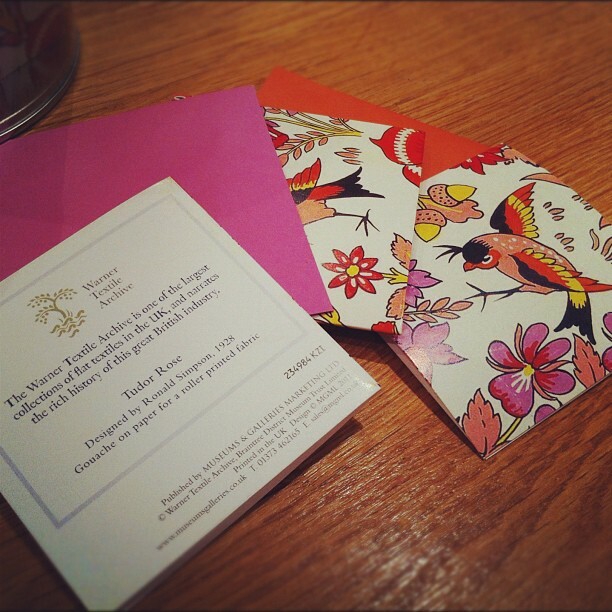 And when I read the back of the card, it said the print was taken from the Warner Textile Archive. Never heard of them. So I looked them up. Warner Textile Archive is Britain’s second largest collection of flat textiles, and narrates the rich history of a great British industry from its roots in the late eighteenth century to the flourishing success of Warner & Sons in the twentieth century. The collection contains nearly 100,000 textile and wallpaper samples, paper designs, documents and other industry records representing two centuries of creativity and commerce. 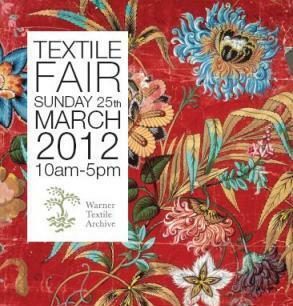 And they are running Textile Fair 2012 which will be held on March 25th 2012 in Braintree, Essex. Tickets are just £4.50 (in advance) and the fair is a celebration of vintage textiles, beads, patchwork, smocking, spinning and quilting - all demonstrated by the region's best craftspeople. Even if you can't make the fair, the Warner Textile Archive Gallery is open every Wednesday, and looks well worth a visit. I feel a day trip coming on.